Schools receiving targeted assistance from the state represent 14 percent of all those statewide. They include 41 in Boston. School systems across the state will be required to provide targeted assistance to more than 230 schools where performance fell short on the latest round of MCAS scores or other measures, under a new state accountability system to be unveiled Thursday. The schools represent 14 percent of all those statewide. 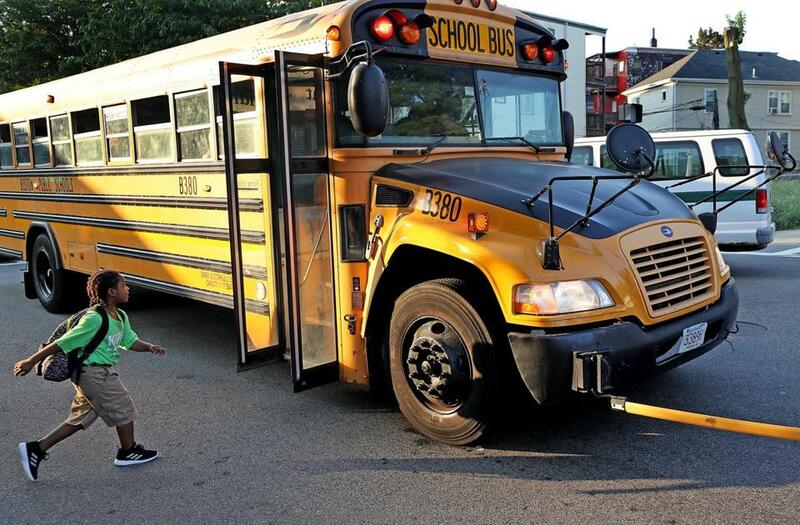 They include 41 in Boston — making up almost half of the 102 city schools that received ratings under the new system — and will likely add to the challenges facing interim Superintendent Laura Perille, who has been grappling with chronically late school buses and the fate of the system’s aging school buildings. These newly identified schools are in a category just above 30 others statewide that had been designated by the state in previous years as “underperforming” or “chronically underperforming” due to persistently low MCAS scores, including nine in Boston. Those schools persist with those labels under the new accountability system. Jeffrey Riley, commissioner of elementary and secondary education, stressed that the idea behind identifying schools for targeted assistance was not intended to be punitive, but rather was an attempt to provide the support they need so students can thrive. Riley said the majority of schools requiring assistance are among the lowest performing in the state. “They are schools we have been working with and continue to work with in an attempt to move the needle forward,” he said in a press briefing. The new system includes three key features that had not been part of previous school accountability systems. If the targeted interventions don’t work, however, the state could move to designate those schools “underperforming,” under the rules of the accountability system, which has been under development for more than a year. A portion of the newly identified schools will likely need to create a turnaround plan, much like underperforming schools have to do. The new system of judging school performance comes just one year after state officials rolled out a revamped version of the Massachusetts Comprehensive Assessment System exams in grades 3-8 that moved most testing online and introduced questions considered more challenging than those on the previous exams. With less than half of students statewide meeting or exceeding expectations last year on most of the new exams, state education officials hoped scores would climb this year as schools familiarized themselves with the new tests and adjusted their classroom lessons. While schools for the most part showed some gains on the English/language arts tests, math scores were largely stagnant or declined. In English/language arts, scores in grades 3-8 fluctuated between 46 percent and 54 percent of students meeting or exceeding expectations, and math scores ranged between 46 percent and 50 percent of students landing in those categories. In the tenth grade, which took the old MCAS exams for the last time last spring, results were static: 91 percent of students scored advanced and proficient in English and 74 percent did in science, the same as the previous year. In math, students scoring advanced and proficient dropped one percentage point to 78 percent. Massachusetts overhauled its accountability system to comply with changes to federal law that requires using additional data in judging schools beyond standardized tests and high school graduation rates. 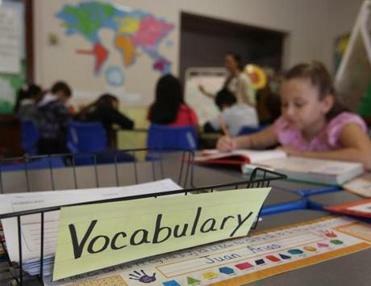 Although the new system still relies mostly on MCAS scores, it also weighs how much progress schools are making in teaching non-native English speakers the language, offering college-level courses in high school, and reducing the number of students chronically absent from school. Depending on how most of the state’s 1,800 public schools measure up, they will be deemed as meeting their targets, partially meeting their targets, requiring targeted assistance, or requiring broad comprehensive support. The latter requires schools to be formally identified by the state as underperforming or chronically underperforming. No additional schools this year received those designations. In one area of good news, the state recognized 52 schools for strong MCAS achievement or exceeding their performance targets. Most of the schools are in such suburbs as Hingham, Lexington, and Winchester, but seven are in cities, including the Manning and Winship elementary schools in Boston and Brown Elementary School in Somerville. Boston school officials — under the direction of former superintendent Tommy Chang — anticipated that dozens of the city’s schools could wind up requiring targeted assistance and began taking steps to address it. Consultants were brought in to dissect performance issues at about two dozen schools, while the School Department began organizing schools into smaller administrative networks to provide more support, an effort Perille has continued. Perille said many of Boston’s schools stumbled under the accountability system’s new measures, such as offering college-level courses in high school, teaching English fluency to non-native speakers, and reducing chronic absenteeism. Almost 20 percent of students in grades 1-8 and 36 percent in grades 9-12 were chronically absent last year, representing slight increases from the previous year. Other schools got labeled for targeted assistance because fewer than the required 95 percent of students took the MCAS exams, which could be due to students who are chronically absent from school. The accountability system also highlighted another long persisting problem: gaps in achievement among students of different backgrounds. Perille said the Winthrop Elementary School could offer a road map for improvement. Designated by the state in 2013 as underperforming, it was one of four schools statewide that will shed that designation Thursday. As part of its turnaround strategy, the school expanded learning time for reading and literacy interventions, increased the use of technology, and integrated math and English lessons, helping it to meet all of its performance targets. Boston largely saw improvements on the revamped MCAS exam, increasing scores on most tests while experiencing a decline on just one test. But the school system’s performance still notably trails the state by big margins. For instance, in grade four English/language arts, where Boston experienced the largest districtwide increase in scores, the portion of students meeting or exceeding expectations increased by six percentage points to 35 percent. Yet statewide, 53 percent of students landed in those two categories.